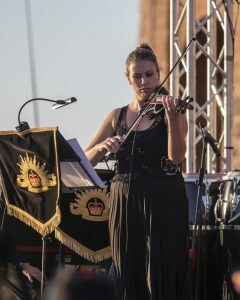 As usual there was an interesting program of music presented in a most professional and entertaining manner. 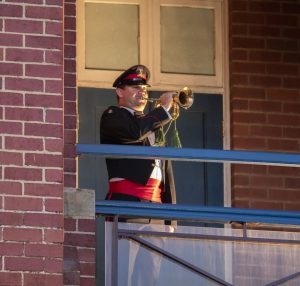 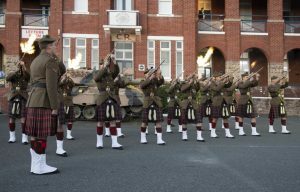 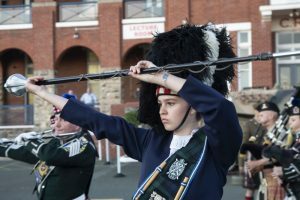 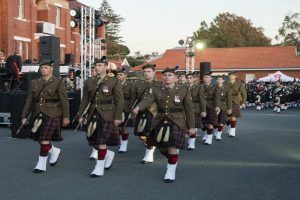 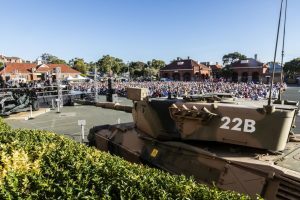 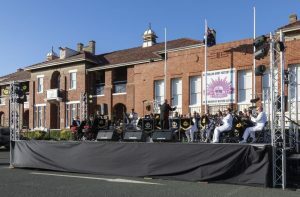 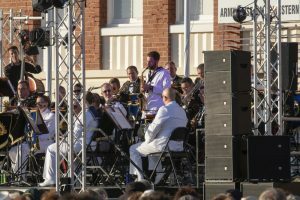 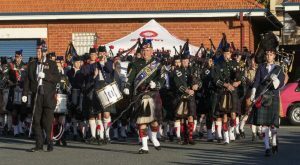 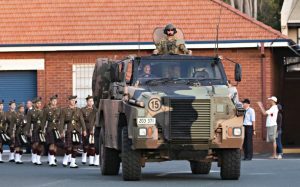 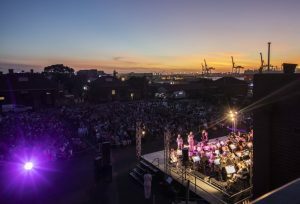 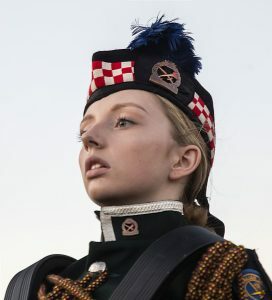 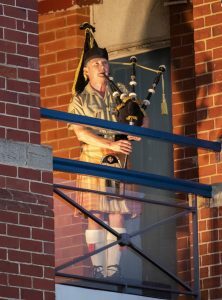 The evening was a credit to the musicians from the Australian Army Band Perth, the Royal Australian Navy Band WA as well as the massed Pipes and Drums from the Australian Army Band Perth; 51 ACU Swan Regiment Drums and Pipes and the Presbyterian Ladies’ Pipe Band. 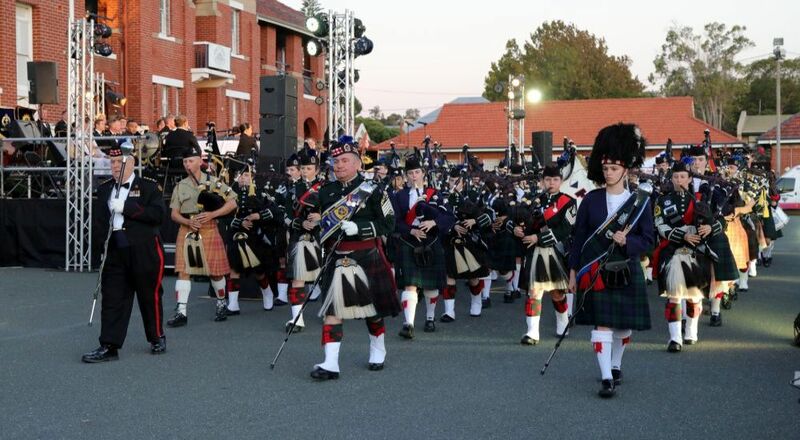 The entrance of the massed Pipes and Drums always causes a stir and is very colourful. 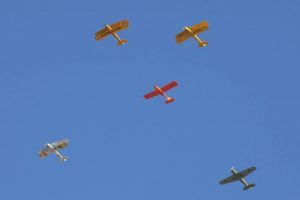 There was a fly-by with five aircraft in formation. 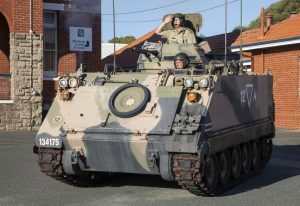 We had a Bushmaster make an appearance as well as the grand entrance of our own M113A.